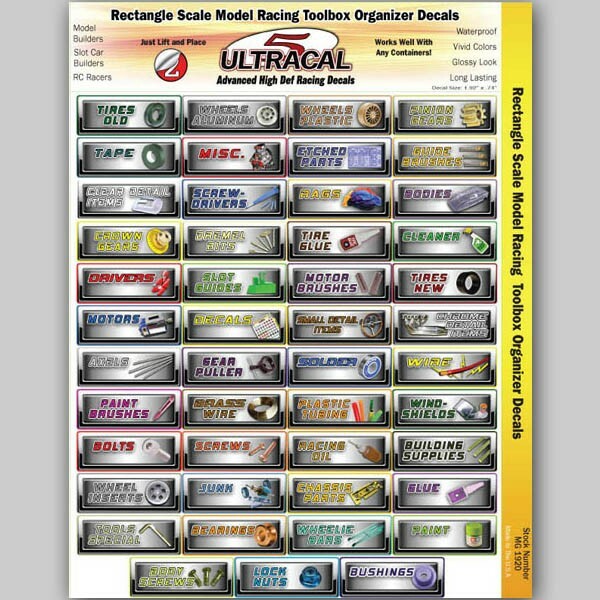 Tool Box Organizer decals are a great way to keep things organized in your Pit Box. With such popular compartment titles as "Tires (new), Tires (old), Pinion Gears, Bushings, Lock Nuts, Bearings, Body Screws, Cleaner" and many more, you will become faster, more organizer, and look professional. 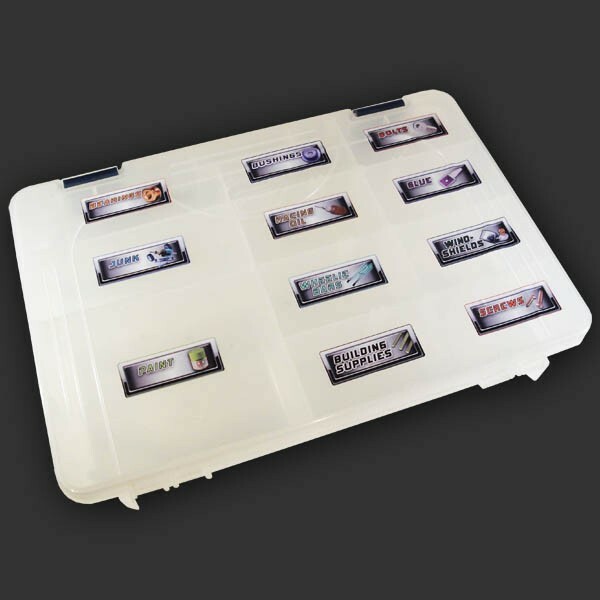 Tool Box Organizer Decals are pre-cut and adhesive-backed for easy installation. Just peel them off, and apply them to each container. They are currently available in both round and rectangular configurations. Round decals are 1.5" in diameter.